Nancy Evarts was born circa 1527 in Southwark, Surrey, England.1 She was the daughter of James Evarts. Nancy Evarts married Ephriam Allyne circa 1556 in Southwark, Surrey, England.1 Nancy Evarts died after 1559. [S251] E. Perry, "New England Families", Apr. 22, 2002, unverified. Thomas Hale the immigrant came to Newbury in 1635. He was known as "The Glover". He was also a surveyor. Tradition says he was a brother of Deacon Robert Hale of Charlestown, who was the ancestor of Nathan Hale. There were three big Hale families in England. The Hales of Kent, of Hertford and of Gloucester. Thomas Hale was from the Hertfords line family and Robert Hale from the Kent family. So Eunice Hale was from the Hertfordshire branch and Nathan Hale from the Kent Branch. [S567] Robert S. Hale, "Thomas Hale, the Glover." [S13] David Conover's research, online www.conovergenealogy.com. [S41] Genealogy of Thos Hale, online. [S29] Paul Noyes' research, online noyes.rootsweb.com. [S58] Ted Sargent, "Sargent Family Tree", Aug. 22, 2000, unverified. [S843] Early VR Essex Co. MA (published), Vital records of Newbury. [S573] Philip Fox, "George Ellery Hale." [S677] 1910 United States Federal Census, MA, Roll T624_623, book 2, p. 176b. Donald McKay Elliman III is the son of Donald Mckay Elliman Jr. and Mary Dalton Fowler. Andrew Noyes Elliman is the son of Donald Mckay Elliman Jr. and Mary Dalton Fowler. Ed Armbruster married Sarah Benoist Fowler, daughter of John Robert Fowler and Ann Adams Noyes, in Denver, Denver County, Colorado.2 Ed Armbruster and Sarah Benoist Fowler were divorced say 1995. [S1026] Information from Noyes Cousins. [S1015] California Divorce Index (published). [S466] Letter, Anne Benoist Pallen to Patricia Noyes Fox. [S696] "Miscellaneous Single Documents," Letter from Ann D. Pallen Collection of A. Gulbransen. [S22] Georgiana Davidson's notes, , c 1985, Collection of A. Gulbransen. [S608] Georgiana Keogh, "EMAIL: Gerogiana Grant," e-mail to Ann Gulbransen, May 21, 2004. One of the posts that Dr Charles McDougall had was at Fort Winnebago in Wisconsin. The local DAR branch has restored the surgeon's quarters in which he would have lived. Check out their website at www.wsdar.com/surgeons/ His two oldest children were probably born there. On the morning of September 21st, 1804, my respected father, Charles McDougall was born in the little Village of Chillicothe, Ross Co., Ohio, of good sturdy stock, his father John McDougall of Westmoreland, Virginia, and his mother, Margaret Stockton, of York, Pa., both of which were of the old chivalrous kind, educated, refined, benevolent, and staunch Christians of the Presbyterian faith, who emigrated across the wild Alleganies on horseback, and finally settled in the quaint Village of Chillicothe, Ohio. The boyhood days of my father were spent like those of all boys at that time, in attending the common school, under a hard working master. When thirteen or fourteen years of age, his father died, when it devolved upon him to look after his widowed mother, which he did faithfully and well, during her long life, she passing away at the ripe old age of eighty- four years, in Philadelphia, Pa. A more devotee, loyal and affectionate son never lived. After leaving school, he studied medicine under the most reliable doctor of the village until near manhood, when he left home for Jefferson Medical College, Pa., remaining through the entire course, and graduating with honor. 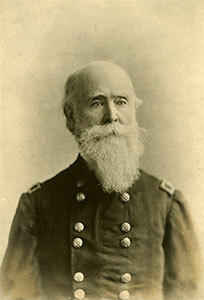 Among his classmates were the late Surgeon General Clement A. Finley, U.S. Army, also the late Surgeon General Charles B. Satterlee, U. S. Army, and his intimate fellow student, the eminent Doctor Austin Flint of New York, deceased, all of whom remained his strong friends through life. Not very long after graduation, my father married Maria Hanson, of Paris, Kentucky, a daughter of Colonel Luke Hanson, a wedlock of undying love and devotion; it was truly noble and pathetic, his admiration and love were so great, the memory of which his children prize above everything else. Again, his charitable character showed forth in his medical and professional attendance upon the poor and suffering, ever ready to answer any call with a light and Christian heart, without pay or emolument, doing his duty cheerfully to God and his fellow men. When stationed in Baltimore, Maryland, as Post Surgeon at old Fort McHenry, and attending Surgeon to the officers' families in the city, he was the family physician to Mrs. Judge Marshal, who was the sister of General Robert E. Lee. His prompt and daily visits to relieve her from suffering, cheering her up, nursing her like a child of his own, were greatly appreciated by her husband, Judge Marshal and her brother, General Lee, who were ever afterwards his warm friends. 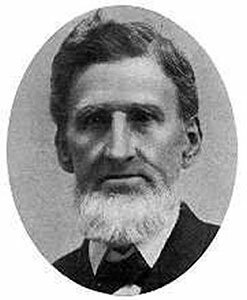 In looking over L. R. Hammersly's Record of Officers, I find Charles McDougall was born in Ohio, appointed from Indiana, Assistant Surgeon July, 1832; at Danville, Ill., to 1833, with the Mounted Rangers in the Black Hawk Indian war, 1933; Surgeon U.S. Army 1836; in the Florida war against the Seminole Indians to 1841; at Fort Crawford, Wis., to 1845; Jefferson Barracks, Mo., to 1846; at Fort Monroe, Va., 1848; at the U.S. Military Academy, West Point, N.Y. to 1848; Fort Leavenworth Kansas to 1850; in New Mexico, 1853; Medical Director 9th Military Dept., Santa Fe., New Mexico, 1852 to 1853; at Fort Snelling, Minn., to 1854; Fort McHenry, Ba1timore, Md., to 1860; at the U.S. Military Academy, West Point, N.Y., and member of Medical Board, New York City to 1861; Medical Director of the Army of the Tennessee, April to Sept. 1862; Medical Director Dept. of the East to 1865, New York City; Lieutenant Colonel and Medical Purveyor U.S. Army, July, 1866; Brevet Brigadier General U.S. Army for faithful and meritorious services during the war; retired February 22, 1869. This glorious history of. his services has been left to his children; a busy, faithful life., honorable and dutiful servant to his government and country. All the officers and soldiers of the old Army well remember him for his devotion and kindness to them. My father was an extreme Union man. He said to me, just before leaving West Point for the civil war: "My son, I'll stick to the United States, if only half a state remains." That peerless general, U.S. Grant, was a particular and loving friend of my father, as were also Generals Sherman, Scott, Mead, Hancock, Canby, and in fact scores of others who had been associated with him. He was modest, and never sought honors; in fact, he declined promotion over his ranking officers. In Memoriam quotes several letters asserting the high esteem in which he was held and concludes with one from the War Department, Surgeon's Office, Washington, D.C. July 28, 1885 which says in part: "In the death of Lieutenant Colonel and Brevet Brigadier General Charles McDougall, Surgeon U.S. Army (retired) which occurred at Fairfield, Clark County, Virginia July 25,1885...the officers are called upon to mourn the loss of one of the oldest and most honored of their comrades..." signed by R. Murray, Surgeon General, U.S. Army. "My mother, Maria Hanson, was born in Paris, Kentucky, May 7th 1803, a daughter of Col. Luke Hanson and Sarah Callis, of Westmoreland, Va., who emigrated to Kentucky. The family can be traced for over three hundred years. One of them was of the house of Gustavus Adolphus, and fell at his side in the Battle of Lutzen, and his children were adopted by the King and Queen of Sweden. "Dear mother was a handsome and graceful woman of the Southern type, brave, stately, and dignified, making everyone feel at home by her cordial manner, were he rich or poor. She was a typical army woman, and many a soldier has had a helping hand and cheerful word from her, when she accompanied my father on the march or in garrison. She was often separated from my father by the exigencies of the service, when her whole life was given to thoughtful, loving care for others, especially to the "four boys" as the officers jokingly called my sisters and myself, George, Joe, Frank, and Tom. (Georgiana, Josephine, Francis and Thomas). To the poor she was a ministering angel; to her friends loyal and true through fortune or misfortune, health or sickness. "Mother's life was one of love most beautiful for her children; to do every- I thing possible for our comfort and welfare was her "Golden Rule," and although our love for her be great, very great, we can never make an adequate return for the devotion of such a mother. "In closing this little memorial, I will add the beautiful obituary written by her son-in-law, the Hon. Oliver Prince Buel, which is only a just tribute to her worth. Such a character is a precious legacy to her children." In the 74th year of her age." Obituary by Hon. Oliver Prince Buel. [S253] Dr. Thomas Coates Stockton, The Stockton Family. [S628] "A tribute to Charles McDougall and Maria Hanson McDougall," Capt. Thomas Mower McDougall, Jan 1, 1902 Collection of A. Gulbransen. [S544] Marion Co, IN Marriages (published). [S752] Charles McDougall Tombstone, online at www.findagrave.com, contributed by Connie Nisinger, Jan. 2, 2001. [S668] 1840 United States Federal Census, IN, Roll M704_28, Book 1, P. 177. [S670] 1860 United States Federal Census, NY, Roll: M653_833; Page: 0; Image: 16. [S671] 1870 United States Federal Census, MO, Roll M593_817, Book 1, page 685. [S672] 1880 United States Federal Census, DC, Roll T-9-121 p. 186A. [S38] Pam Jeglinski, "Pam Jeglinski's Data," e-mail to Ann Gulbransen, 2004. [S314] Death certificate of Thomas Mower McDougall. [S746] J. Lawrence Bass, "Flint Genealogy." [S830] Early VR Worcester Co. MA (published), Vital records of Shrewsbury. [S24] Massachusetts Soldiers and Sailors in the War of the Revolution, online. Elizabeth Haynes was born on 19 July 1644 in Sudbury, Massachusetts Bay Colony.1,2 She was the daughter of John Haynes and Dorothy Noyes.2 Her death date has not been found. [S750] Early VR Middlesex Co. MA (published), Vital Records of Sudbury. [S300] Edmund Rice Website, online www.widowmaker.com/~gwk/era. [S640] Autobiography of Robert Gardner, 1819-1906, , 1884. [S669] 1850 United States Federal Census, UT, roll M432_919, p. 100. [S548] Richard Nelson, "Gardner, Spalding, Bount and related families back to ancient times", Jun. 24, 2003, unverified. [S672] 1880 United States Federal Census, UT, Roll: T9_1339; Family History Film: 1255339; Page: 363.1000; Enumeration District: 93. [S752] Robert Gardner Tombstone, online at www.findagrave.com, contributed by John Warnke, February 15, 2005. [S670] 1860 United States Federal Census, UT, roll 1313, book 1, p. 21. [S673] 1900 United States Federal Census, UT, Roll: T623 1688; Page: 7B; Enumeration District: 173. [S670] 1860 United States Federal Census, UT, roll M653_1313, p. 21. Lishman Calender was born circa 1781 in Falkirk, Stirling, Scotland.1 She was the daughter of Archibald Calender and Margaret Ewing. Her death date has not been found. Lishman was also known as Lisbman. Lishman was also known as Leslon. [S752] Brigham Livingston Gardner Lucia Adele Livingston Gardner Tombstone, online at www.findagrave.com, contributed by Debbie Anderson, Jan. 4, 2001. [S752] William Gardner Janet Livingston Gardner Tombstone, online at www.findagrave.com, contributed by Utah State Historical Society, Feb. 2, 2000. [S752] William Gardner Janet Livingston Gardner Tombstone, online at www.findagrave.com, contributed by Debbie Anderson, December 19, 2000. [S868] 1870 United States Federal Census, UT, Roll: M593_1613; Page: 389; Image: 88. [S314] D/C Neil Livingston Gardner.